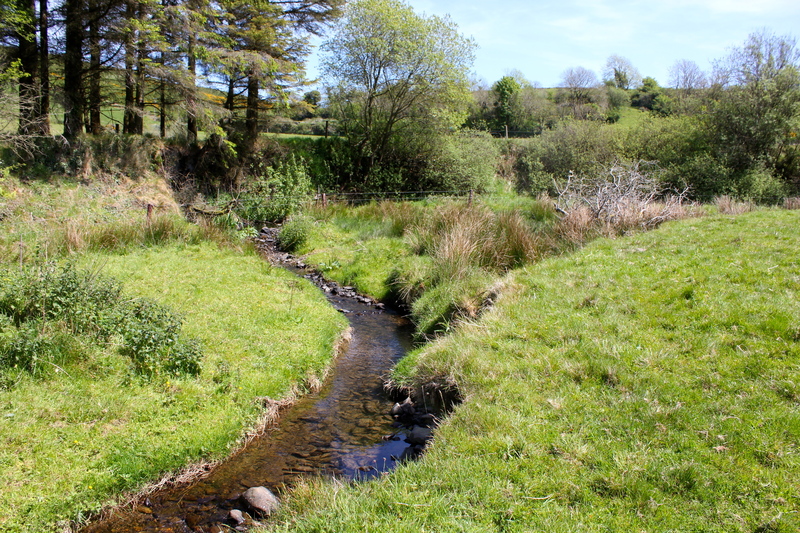 A small farm of 45 acres in North Tipperary is home to an experiment in producing food and energy while also maximising carbon storage and biodiversity. It is in the townland of Coumnageeha which means ‘the bends of the winds’ in Irish which is a good description as it is situated in one the windiest and wettest places in Ireland. 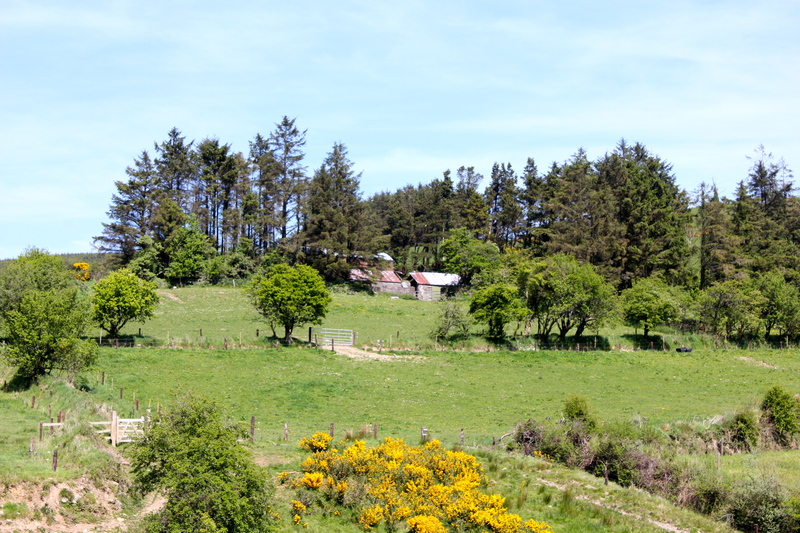 The farm is of mixed land and runs from the top of a hill down to the valley of the River Clodiagh. The food is being produced by a herd of 12 Dexter cows, one bull and followers. The Dexter is the most ancient breed of cattle in Europe. They are dual purpose for beef and milk and are extremely hardy animals, much smaller than other breeds. They are out wintered in Coumnageeha and fed almost entirely on grass which grows well on the well drained slopes and misty cool weather. The farm is in conversion to organic—no artificial fertilizers or pesticides are used. 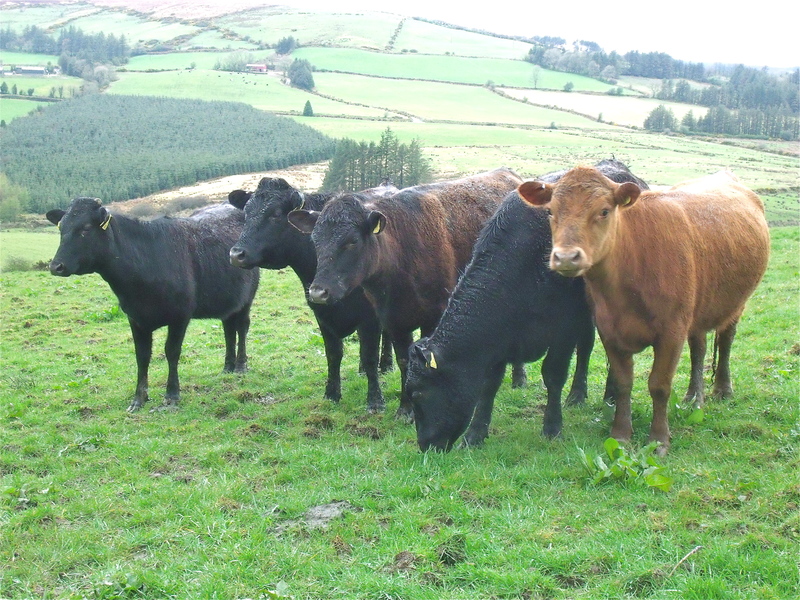 Careful grazing management with the correct number of cattle improves grass growth and builds carbon in the soil. Work to date includes the comprehensive fencing of the fields to protect the river, banks and hedgerows, further planting of a mixed thorn and native tree hedgerow to restore and extend an old ‘Cow Path’ from the hill to the river, the drilling of a well and provision of water troughs to all lower fields. The water is exceptionally clean and is healthfully mineralised from the mixed geological strata that underlies the land. Biodiversity is attracted by a very wide fenced off river margin that has dry escarpments as well as wet meadows —a variety of habitats for wildlife. Old stands of Norway Spruce, Beech and thorn and a new planting of all the Brehon Law ‘noble trees’ ensures havens for birds and bats. In addition 12 bird boxes have been installed in and about the old farm buildings. The river margins are maintained by Kerry Bog Ponies which thrive on species rich grasses and wild flowers on the poorer land. The picture above shows our three year old mare Lassie and her new filly foal. 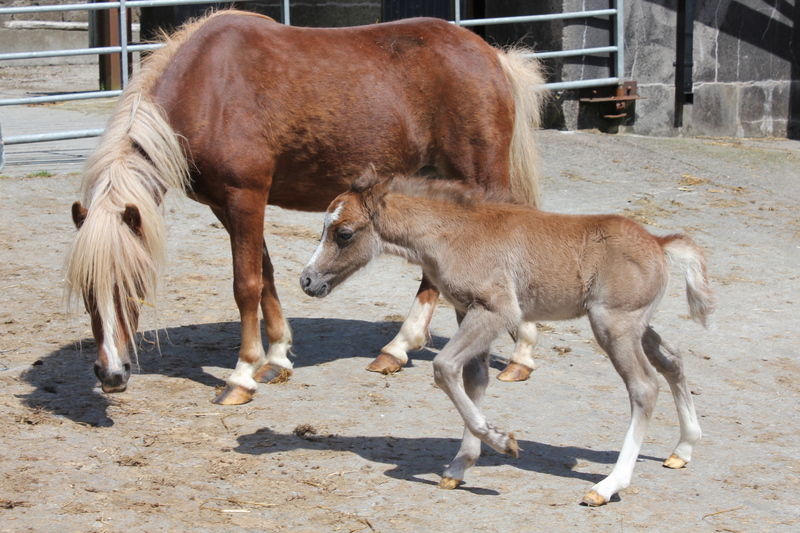 These small, strong, hardy ponies were rescued from near extinction in the mid 1990s. They were used by Irish small holders for carrying turf from the bog and transporting butter from Kerry over the mountains to the butter market at Cork City harbour. The British army found them so useful as a pack animal in the 1st World War that they bought all available. Their nearest relation is the small Welsh Pony. It is planned to train them to pull a small trap for rides in the local quiet roads and a cart for hauling loads on the farm. They are very friendly intelligent animals and are happiest working among people.